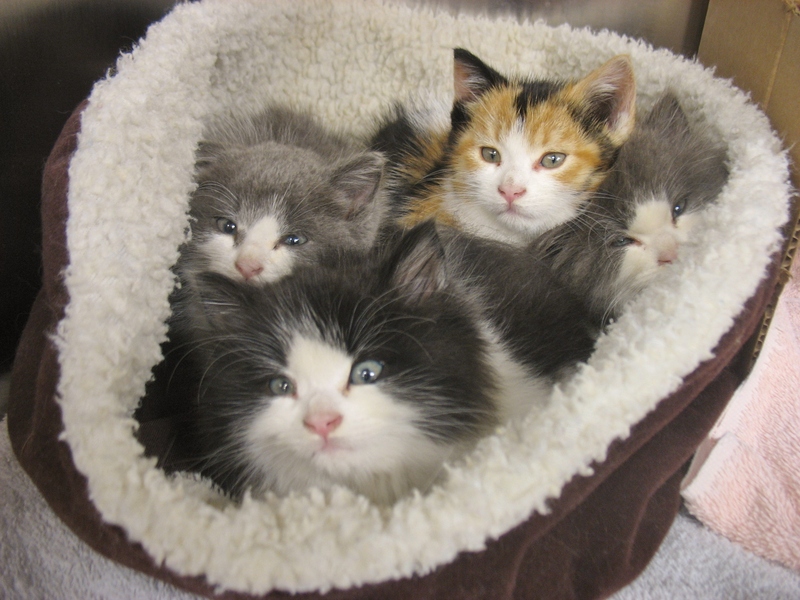 Four little kittens arrived at Summeridge Animal Clinic, located in Vaughan, Thornhill, six weeks ago in a Rubbermaid tote container brought in by a good Samaritan from an auto repair shop. 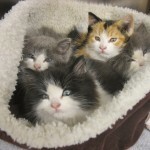 They consisted of three males and one female; two long haired kittens and two short-haired kittens. Their mother had been killed in a roadside accident and they had come to rely on the generosity of our good Samaritan for food. They arrived scarred, thin and dirty but certainly hopeful for a better life. On arrival they were given names: (Pansy, Harry, Neville and Draco) and soon after their initial baths, they settled in. Our Summeridge Team dewormed them, gave them flea medication and stool tests along with plenty of attention, food and water. Within a short period of time, they were thriving: running around, getting into mischief, playing and rough-housing, like kittens the world over. It was at this point that it became necessary to find them permanent homes. 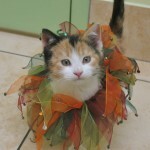 The first to find a home was Pansy (the only female). 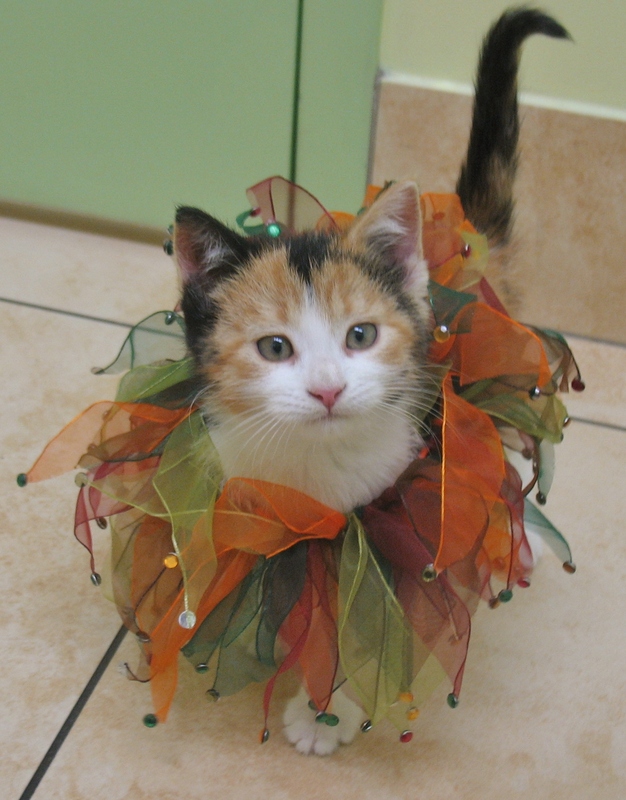 She is a short-haired calico female with plenty of energy, sensitivity and agility. She was an instant hit with her new owner who has adopted her to fill a void left by a previous feline occupant of her home. Pansy has taken to her new home with relish and has begun to explore every inch of her new environment giving special attention to the potted plants and other adornments in her vicinity including climbing the Christmas tree. 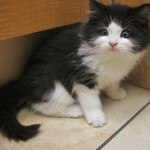 The second one to leave the clinic nursery was Harry, a black and white long-haired male. 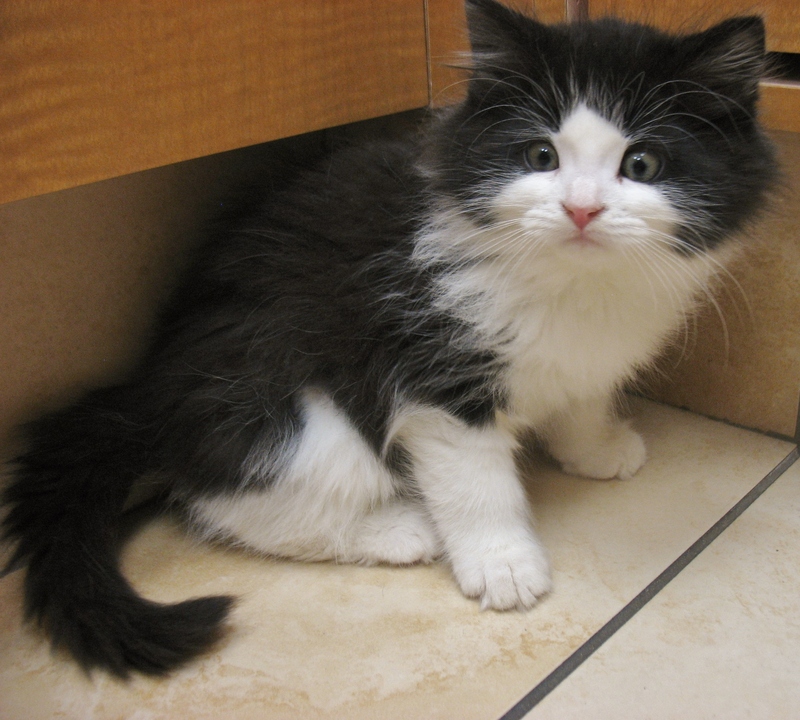 Harry was the largest of the three male kittens. He was adopted by a family with two active children and a dog so he should be in his element. He loves to play, climb and carouse. We understand that he has become very friendly with the dog and a constant companion to the children. He has quickly learned to play hockey and has been observed handing by his two front paws from the Christmas tree swinging on a branch Tarzan style. 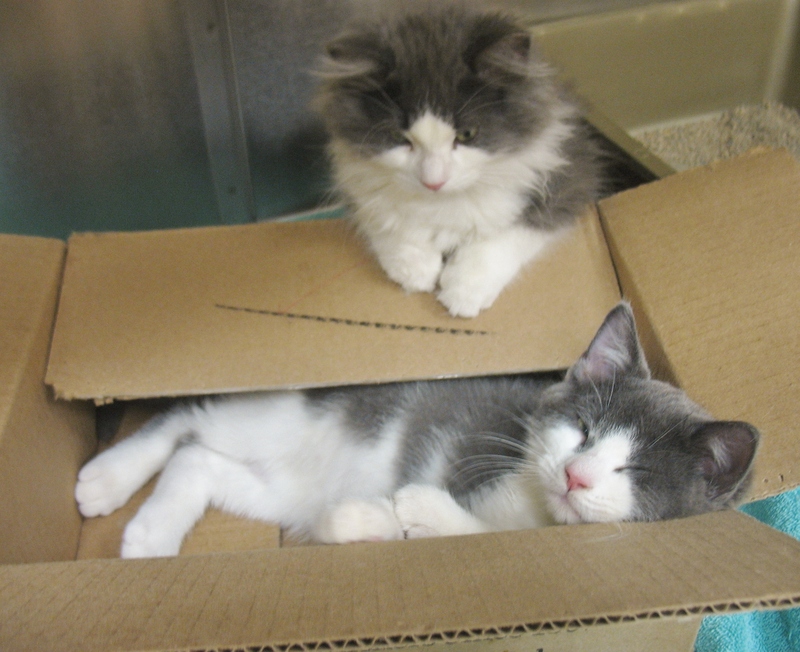 The last two kittens: Neville, a short-haired grey and white male and Draco, a long-haired grey and white male were transported to their new home this weekend. Thankfully, they have been adopted together since they have always been rather close, sleeping and playing together as a team. Both like to be cuddled and purr easily. Neville especially likes to have his tummy rubbed. 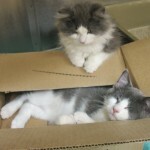 They will initially be sharing their new home with a dog and another cat. But eventually, they will be moving to another residence in Aliston. We wish all four of the kittens the very best in their new homes and we trust they will give their new owners all the love, affection and joy that kittens can bring to any home.